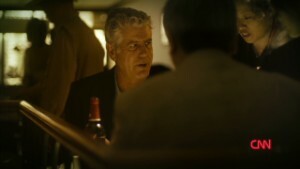 The season four premiere of "Anthony Bourdain: Parts Unknown" takes viewers to the booming city of Shanghai, China, along the Huangpu River. 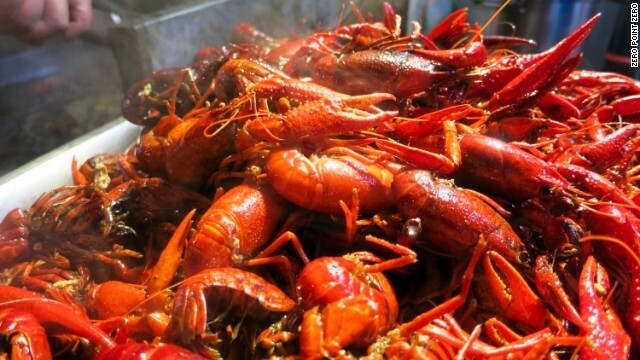 Xiaolongxia -- often referred to as crawfish, crawdads and crayfish, among other names -- are a popular delicacy for the Shanghainese. 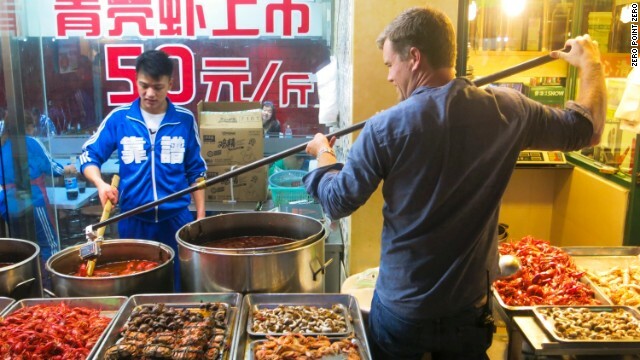 A cameraman gets an assist from a mounted GoPro for a close-up food shot in a Shanghai food stall. Street food is becoming harder to find because of a crackdown on vendors by city government officials. Bourdain stops in to Er Guang Wonton to sample wontons filled with minced pork, bok choy, ginger, rice wine and soy. "You want this, believe me. You want this bad. In fact, you need it," he says. 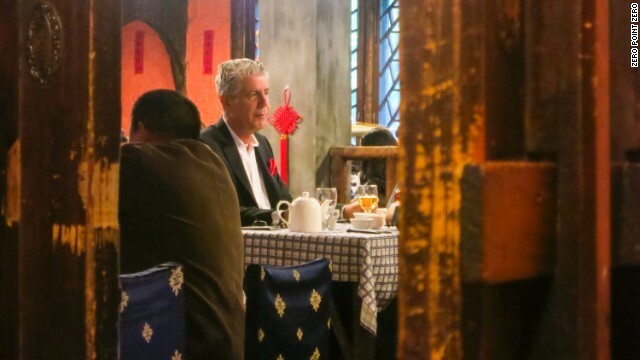 Bourdain ventures to Di Shui Dong for deep-fried, cumin-encrusted Hunan ribs. 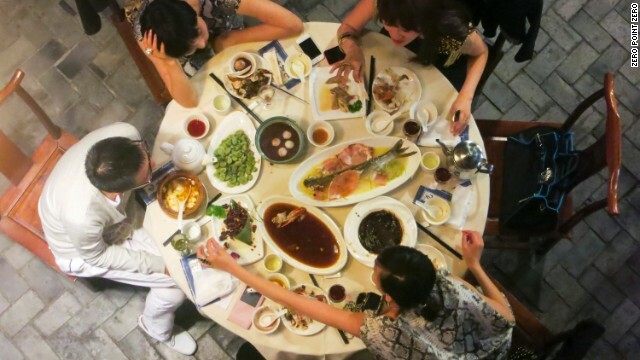 In Shanghai, the traditional way to eat is family style. Bourdain crashes a wedding with hacker/entrepreneur Thomas Yao. 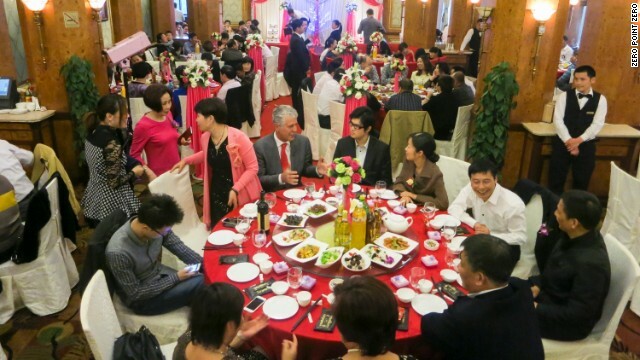 China's marriage market is a big part of the consumer spending boom. 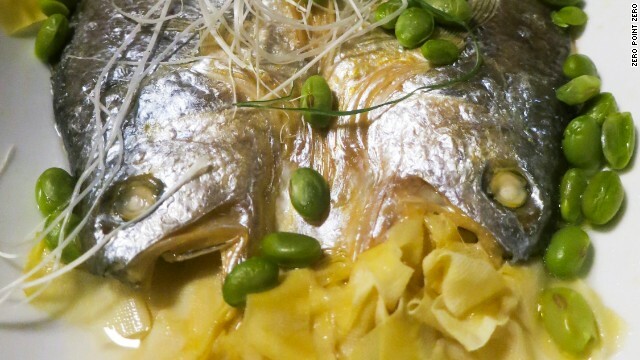 Steamed turbot with scallions is one of the numerous wedding banquet offerings. 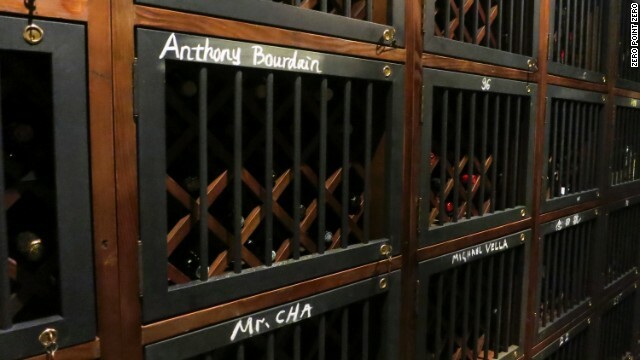 Bourdain visits the Roosevelt Wine Cellar Restaurant to learn about Shanghai's growing taste for prestigious vintages. Anthony Bourdain travels to Shanghai, China, in the season premiere of "Parts Unknown"
Editor's note: World-renowned chef, best-selling author and Emmy-winning television personality Anthony Bourdain explores Shanghai on September 28 at 9 p.m. ET/PT in the fourth season premiere of "Anthony Bourdain Parts Unknown." Follow the show on Twitter and Facebook. 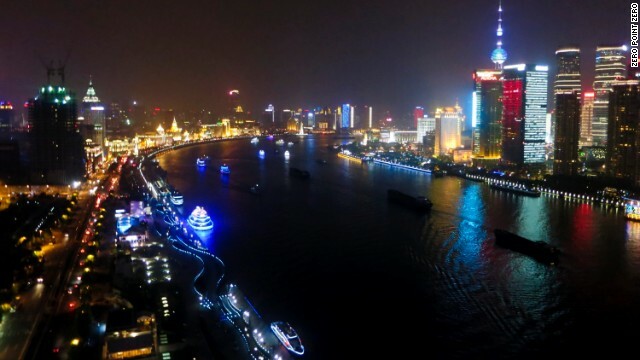 Shanghai is the most populous city in China, and the fastest growing. According to the Hurun Wealth Report 2014, it also boasts 159,000 millionaires with a new taste for global influence and luxury. Shanghai is one of the country's largest markets for imported wines, and China recently surpassed the French in red wine consumption, according to the International Wine and Spirit Research company. 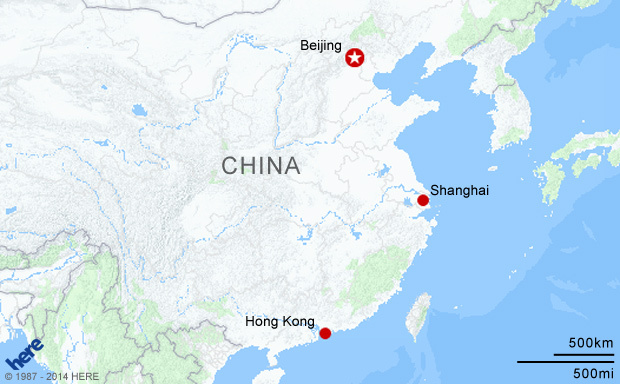 The cuisine in Shanghai is hard to pinpoint, as its location as a port city on a tributary of the Yangtze River has made it a city of immigrants with the Jiangsu province to the north and the Zhejiang province to the south. 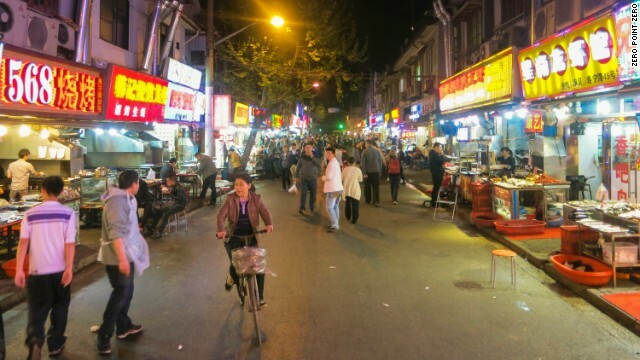 Shanghai's most famous dish is perhaps xiao long bao, or soup dumplings. Often filled with a combination of pork and shrimp, the concealed pork-laden broth can warm you through-and-through, or burn the first layer of skin from your esophagus if consumed too hastily. Lee Anne Wong, a second generation Chinese-American chef, has a knack for finding and recreating street food favorites like these, as demonstrated in her recent Cooking Channel special "Food Crawl." 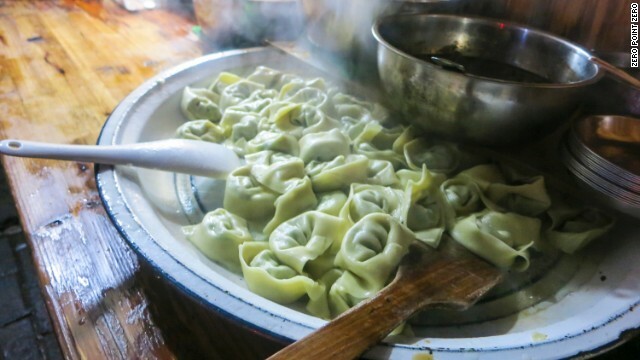 "These dumplings take a whole day or two to make, so get the soup stock going first. By sundown, you'll have fresh soup dumplings in the comfort of your own home -- what I consider to be one of the true secret keys to happiness," Wong says. Reprinted with permission by Page Street Publishing from "Dumplings All Day Wong" by Lee Anne Wong. Rinse the chicken and pork under cold water, then pat dry with paper towels. Using a large knife or cleaver, chop the chicken wings and feet in half to expose the bone. Dice the pork belly and ham into large chunks. Combine with the water, scallion, ginger and garlic in a large stockpot. Bring the water to a boil and then reduce to a rolling simmer. Skim the foam and impurities that rise to the surface of the stock for a clearer broth. Cook the broth for 2½ hours. Strain the stock through a fine-mesh sieve or colander lined with a lint-free towel into a clean pot. Discard the solids (or pull the braised meat from the wing bones and chop and use for dumpling filling, stir-fry, salad, stew or sandwiches). Place the strained broth back on the burner. Add the wine and soy sauce. Bring the broth to a rolling simmer and reduce until you only have 2 cups (475 ml) of liquid remaining. Pour the soup into a shallow baking dish. Allow the soup stock to cool enough to stop steaming, then cover and place in your refrigerator. Chill the stock for several hours, until it is completely cold and set, like Jell-O. Using a fork, scrape up the gelatin and gently mash it to break it up into small pieces. Combine the ingredients in a bowl. Mix well. Stir in the soup gelatin until it is well distributed. Cover and refrigerate the filling. Place the flour in a bowl and make a well in the center. Pour the boiling water and sesame oil into the center of the well and stir with a fork or pair of chopsticks until the dough begins to come together. You may need to add more water if it is dry, or if the dough is sticky, a touch more flour. Once the dough comes together, turn it out onto a lightly floured surface and knead lightly for 3 to 4 minutes, until it can be kneaded into a smooth ball. Wrap the dough in plastic wrap and refrigerate for at least 1 hour. Working on a lightly floured surface, roll the dough into a 2-inch (5-cm)-thick rope and divide the dough into 10 even pieces. Roll each piece into a 1-inch (2.5-cm)-thick rope and cut into 4 pieces, for a total of 40 pieces. Keep the dough covered in plastic wrap or with a damp towel. Using a small rolling pin, roll each piece of dough into a 4-inch (10-cm) circle about 1⁄16 inch (0.2 cm) thick. You may roll out all the wrappers at once if you keep them lightly floured and covered. Add a heaping tablespoon (12 g) of filling to the center of the wrapper and wet the edges with a pastry brush or your finger. Begin to gather the edge of the wrapper and make tiny overlapping pleats, keeping the center of the dumpling as the focal point, until you have gathered all of the dough and the dumpling is formed. Gently pinch the pleats to seal the dumpling. Store on a lightly floured tray, covered with plastic wrap. Refrigerate or freeze as needed. Arrange the dumplings at least 1½ inches (4 cm) apart in a dim sum steamer lined with blanched napa cabbage leaves or greased parchment paper that has holes punched in it. Place the dim sum basket over several inches of water in a wok (the water should reach just below the bottom tier of the first basket). Bring the water to a boil and steam the dumplings for 6 to 8 minutes, adding more water to the bottom pan as necessary. Serve hot with black or red vinegar dipping sauce and chile oil.